In order to conceal the theft, Brown allegedly withdrew money from one of the firm’s small business accounts and then replaced the funds by transferring money from the general account into the small business account. She also allegedly altered a number of company bank statements in order to hide the losses and discrepancies that existed between the accounts. Police were provided a copy of one such statement, where a piece of paper showing fraudulent dollar amounts was taped over the actual amounts shown on the legitimate statement issued by the bank. The document was then scanned to provide the company with inaccurate account balances that were higher than what was actually in the accounts. According to the statement, Brown originally told the firm that she took an estimated combined total of about $150,000. However, after reviewing the statements from the two accounts, the firm determined that more than $271,750 was removed from the small business account and more than $76,000 from the general account, at which point the company decided to pursue criminal charges. After her arrest Friday, Brown was booked into jail on five second-degree felony counts of theft, one for each year that more than $5,000 was taken from each of the two accounts, as well as one second-degree felony charge of unlawfully dealing of property by a fiduciary, due to her trusted position dealing with finances. 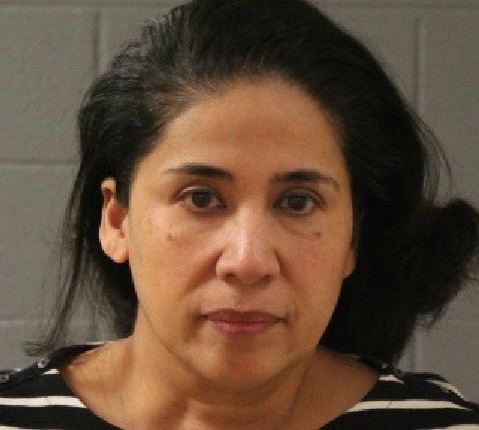 She also faces one third-degree felony charge of unlawful acquisition of a finance card and a misdemeanor count of theft. At the time of this report, Brown is being held at Purgatory Correctional Facility in Washington County on $10,000 bond.